Over the last few days Ubuntu have been teasing us about something 'so close, you can almost touch it' and now we finally can. We present to you the mobile version of Ubuntu! This operating system is built off of the existing Android kernel and drivers and Canonical promises that you'll have the "the full power of the phone" at your disposal! Unsurprisingly then the Ubuntu phone OS will supporting both ARM and x86 processors and will let Android phone makers run it on their Android devices with a minimal set of changes! Ubuntu for Android was the first step towards this fully fledged mobile offering from Ubuntu and Canonical chief, Mark Shuttleworth has said that the full OS will arrive at some stage this year, but we don't currently know which carrier or manufacturers will support it. Although, The Verge says "Ubuntu for Android handset should be provided by a "high-end" Android device maker" first, most likely to make use of the 'unique full PC capabilities' of docked phones. "1. Edge magic: thumb gestures from all four edges of the screen enable users to find content and switch between apps faster than other phones. 2. Deep content immersion - controls appear only when the user wants them. 3. A beautiful global search for apps, content and products. 4. Voice and text commands in any application for faster access to rich capabilities. 5. Both native and web or HTML5 apps. 6. Evolving personalised art on the welcome screen." This is a good set of options and the voice control in every app is fantastic as is the 'edge magic' idea, which reminds us of Windows 8's new user interface and the Blackberry Playbook and this should be a good feature although it might have a sharp learning curve for new users. Unfortunately, that's where the good news end because The Verge also believe that there will not be a fully-fledged Ubuntu phone until early in 2014, which is a shame as it will probably be beaten to market by Tizen, Firefox OS and even Jolla's Sailfish phones. On the plus side there are downloadable images of the development platform which will be compatible with your Galaxy Nexus in the next few weeks, so keep your eyes out for those! The Gnex is the only officially supported device at the moment, but Canonical says their developers will soon be working on adding more compatible devices! What do you think? Are you interested in a Ubuntu-fied phone? Are you going to crack out the Galaxy Nexus to tried it out when the option becomes available? Let us know in the comments below! Via Engadget and The Verge. London, UK, 2 January, 2013: Canonical today announced a distinctive smartphone interface for its popular operating system, Ubuntu, using all four edges of the screen for a more immersive experience. Ubuntu uniquely gives handset OEMs and mobile operators the ability to converge phone, PC and thin client into a single enterprise superphone. "We expect Ubuntu to be popular in the enterprise market, enabling customers to provision a single secure device for all PC, thin client and phone functions. Ubuntu is already the most widely used Linux enterprise desktop, with customers in a wide range of sectors focused on security, cost and manageability" said Jane Silber, CEO of Canonical. "We also see an opportunity in basic smartphones that are used for the phone, SMS, web and email, where Ubuntu outperforms thanks to its native core apps and stylish presentation." Ubuntu is aimed at two core mobile segments: the high-end superphone, and the entry-level basic smartphone, helping operators grow the use of data amongst consumers who typically use only the phone and messaging but who might embrace the use of web and email on their phone. Ubuntu also appeals to aspirational prosumers who want a fresh experience with faster, richer performance on a lower bill-of-materials device. 1. Edge magic: thumb gestures from all four edges of the screen enable users to find content and switch between apps faster than other phones. 1. Deep content immersion - controls appear only when the user wants them. 2. A beautiful global search for apps, content and products. 3. Voice and text commands in any application for faster access to rich capabilities. 4. Both native and web or HTML5 apps. 5. Evolving personalised art on the welcome screen. 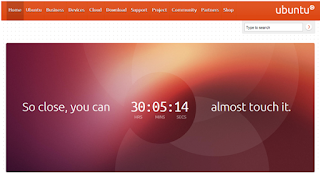 Ubuntu offers compelling customisation options for partner apps, content and services. Operators and OEMs can easily add their own branded offerings. Canonical's personal cloud service, Ubuntu One, provides storage and media services, file sharing and a secure transaction service which enables partners to integrate their own service offerings easily. Canonical makes it easy to build phones with Ubuntu. The company provides engineering services to offload the complexity of maintaining multiple code bases which has proven to be a common issue for smartphone manufacturers, freeing the manufacturer to focus on hardware design and integration. For silicon vendors, Ubuntu is compatible with a typical Android Board Support Package (BSP). 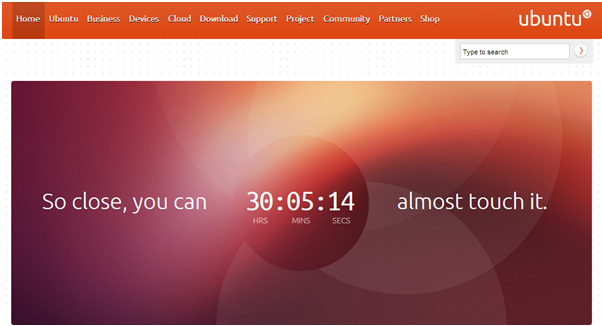 This means Ubuntu is ready to run on the most cost-efficient chipset designs. In bringing Ubuntu to the phone, Canonical is uniquely placed with a single operating system for client, server and cloud, and a unified family of interfaces for the phone, the PC and the TV. "We are defining a new era of convergence in technology, with one unified operating system that underpins cloud computing, data centers, PCs and consumer electronics" says Mark Shuttleworth, founder of Ubuntu and VP Products at Canonical. Canonical currently serves the leading PC OEMs: ASUS, Dell, HP, and Lenovo all certify the majority of their PCs on Ubuntu and pre-install it in global markets. Over 20 million desktop PCs run the OS today, and Canonical estimates that close to 10% of the world's new desktops and laptops will ship with Ubuntu in 2014. Ubuntu is also wildly popular as a server platform, the number one server OS on the key major public clouds and the leading host OS for OpenStack, the open source IAAS.